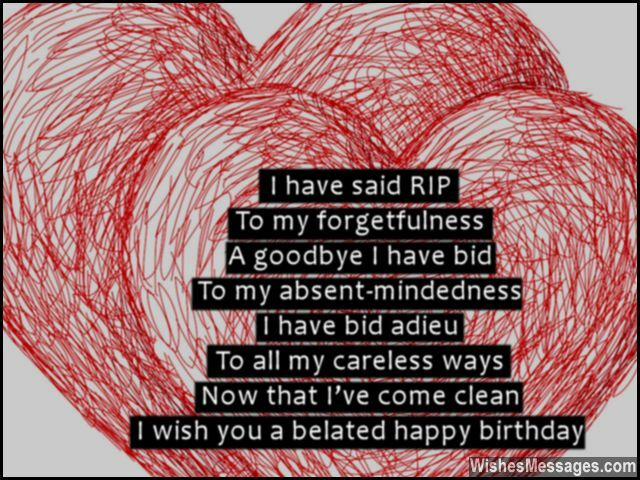 Belated Birthday Poems for Boyfriend: Forgetting your boyfriend’s birthday can spell catastrophe. It’s the kind of disaster that needs amends on the double. A heartfelt apology might not be enough to bring the smile back on his face. 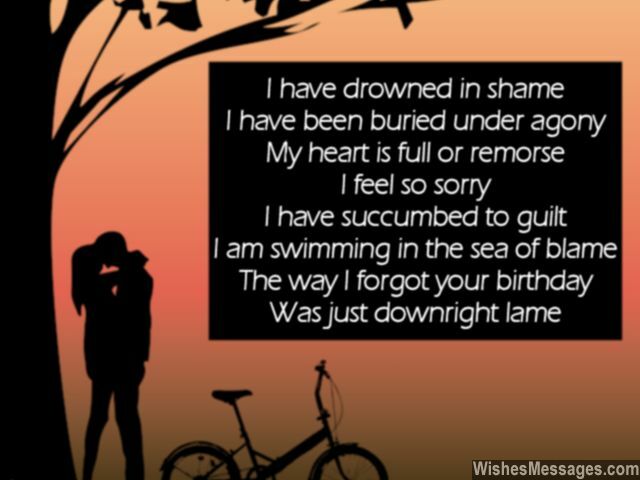 Write a romantic quote on a greeting card which expresses how sorry you really are. If that doesn’t make things lovey-dovey again, flood his Facebook with sweet messages to plead for forgiveness. From funny pins to the cutest texts – don’t leave any stone unturned as you try to win his heart over. And after your apologetic rants are finally over, give him a gift that he loves. Do all you can to bring the spark back in your mushy selfies.